Top floor, south-facing, bright, cheerful, hall with hall-stand. Parent’s room with 2 armchairs, writing area, satellite tv, direct dial telephone, south-facing balcony. 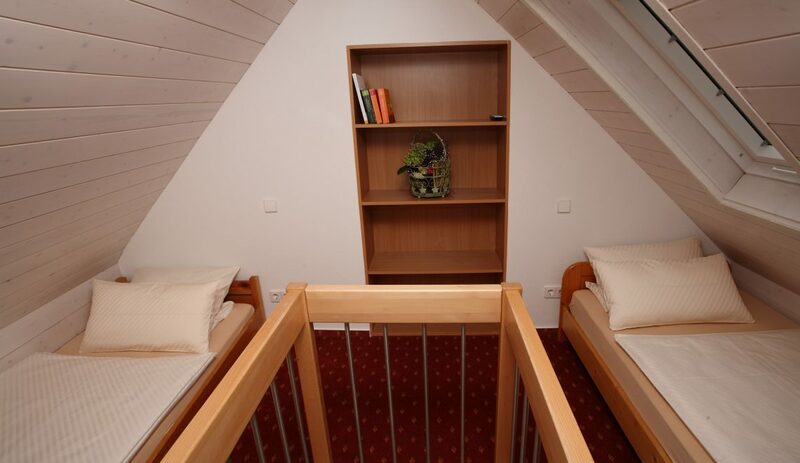 Small attic room with 2 single beds and satellite tv. New bathroom with shower/WC and hairdrier.